to provide your child with an outstanding educational experience. 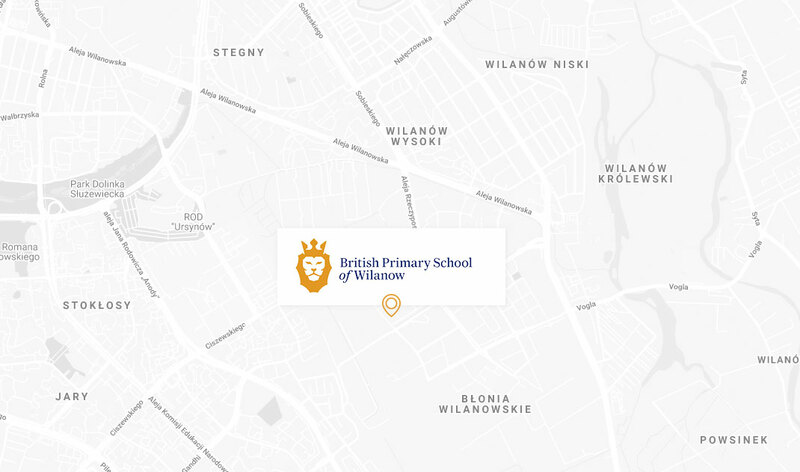 BSW offers an exciting option for families in Warsaw and I trust this website gives you an insight into this young, vibrant international primary school. Our school is known for its warm welcome, its family atmosphere, its small class sizes and individual attention. It also has a very strong reputation for academic rigour and excellence with a culture of respect, courtesy and good manners. Set on the edge of glorious countryside, yet still in the heart of fashionable Wilanow, the school campus is a modern one with ambitious plans and with the resources and space to grow and develop. We want all students to become better people, in their learning, in their interaction with others and in their understanding of the world. Through this reflection we call on this community to act to make our school, our locality and the world a better place. Though the website is an excellent window into BSW, nothing can replace a personal visit and please contact us to arrange a tour. BSW Lions are courageous – they show courage through willingness to always have a go. BSW Lions are considerate – they show compassion and are empathetic to needs of others. BSW Lions are cooperative – they work together to achieve the best and develop their own knowledge. BSW Lions are respectful – they are honest and courteous to others. Viktor, our youngest pupil, and Yeonsoo, our oldest pupil, cut the ceremonial ribbon and our pupils have tried out the new facility. Please find this week's newsletter attached. Gok Wan, British fashion consultant and TV presenter reviews Year 3 designs. Please check out the menu for next week. BSW has been accredited and approved by Cambridge International.